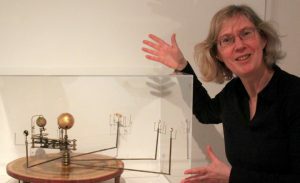 Student science communicators are reminded today (10 February) that there are just three weeks to the deadline for the Mary Mulvihill Memorial Award. This new competition is open to submissions in any media format on women’s role in science. It carries a prize of €2,000. Students in higher education of any subject are invited to take part. The competition commemorates science writer, broadcaster, communication trainer and walks guide Mary Mulvihill (1959-2015). It aims to keep her rich legacy in front of future science communicators as a continuing source of inspiration. “Mary showed that science communication could be done, and could be done well. Her work demonstrated the power of story-telling, the importance of recognising the people who drive science and the benefits of exploring new media and routes to engage audiences. Competition administrator Cormac Sheridan reminded competition entrants that the judges will be looking for imagination, flair and personality in the submissions. Full details of the Mary Mulvihill Memorial Award, including updated terms and conditions, are posted here. The deadline for submissions is Friday 3 March.